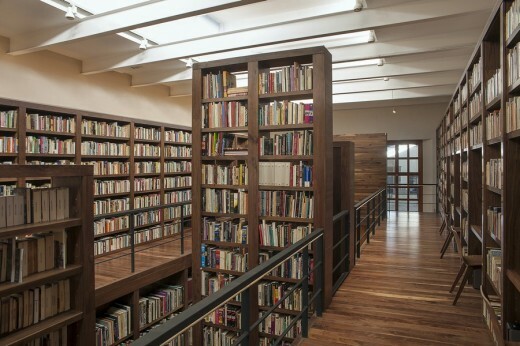 Located in the west wing of the “Jose Vasconcelos” Library in Mexico, the personal library of Carlos Monsivais is a space where the personal collection created by the writer’s mind is safeguarded for public use. The architectural project´s starting point is a selection of specific characteristics of Carlos Monsivais. It seeks to translate these into spatial qualities. Order within Chaos, is the first impression that inspired the architecture. The second guiding axis is the special relationship of the writer with the city. These two identifiers are interpreted and expressed in a space that generates a circuit, using as guiding line blocks that offer various alternatives in three dimensions. The user has to walk the site to understand it. The intention here is that despite the enclosure, the user may have different perceptions and experiences. 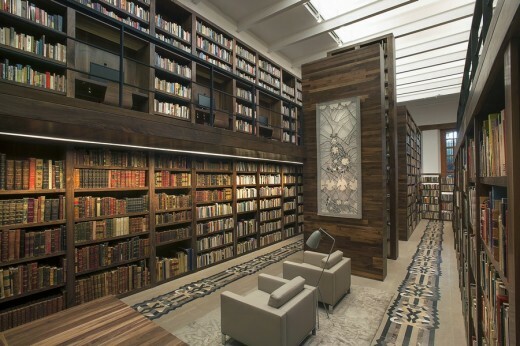 The various blocks that create the paths are formed by sets of bookshelves that play with dimensions and textures, generating different shades of color. The Library was built on two levels. The characteristic of the first level is that it offers the possibility of several pathways. 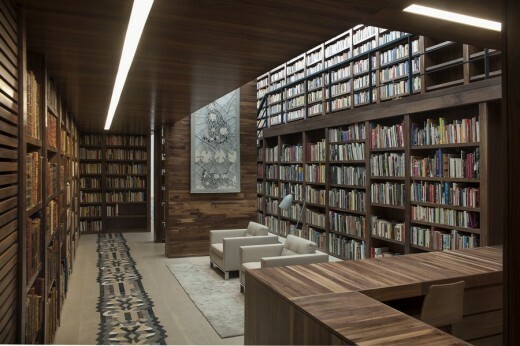 There are enclosed spaces with bookshelves that make a reference to the writer’s personal library. The second level instead follows a circuit that allows an extensive view of the whole space. The different paths converge into two different open areas where the user can read the collections. These areas have a double height and natural light. The Library has several works of Francisco Toledo, a Mexican renowned painter and sculptor, who was a close friend of the writer. One of his designs was used for the marble floor. 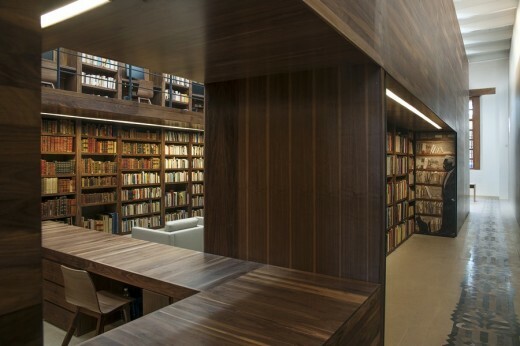 Altogether, the different elements used in the library seek to help bring the visitor closer to the writer. 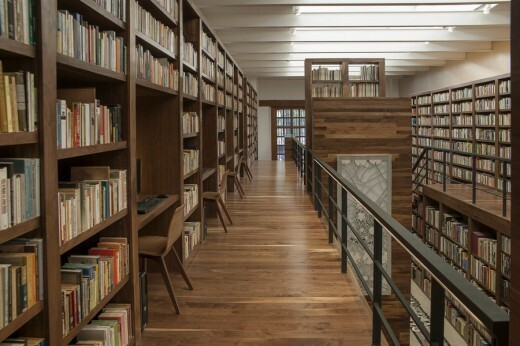 Location: A row of rooms of the west wing of the “JoseVasconcelos” Library of Mexico located at Plaza de la Ciudadela #4 Colonia Centro Mexico D.F.